Angela Dimayuga’s style is entirely original, boundary-busting and holistic. 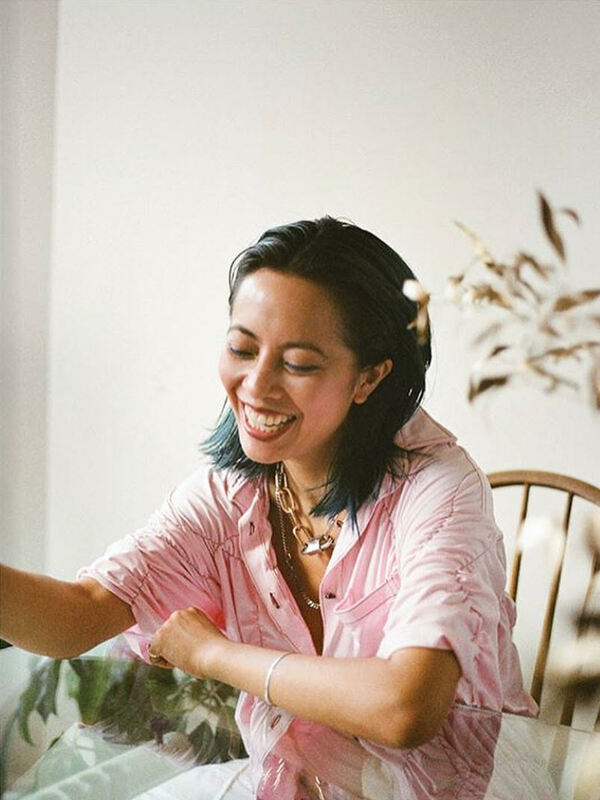 Dimayuga, now Creative Director of Food & Culture at The Standard Hotels, is best known as the Executive Chef of Mission Chinese Food in NYC, but her true calling is that of tastemaker, community builder, artistic collaborator, and queer advocate. On this episode of Speaking Broadly, host Dana Cowin discovers how the second youngest child of six siblings born to immigrant parents in San Jose, California, became one of the most important voices in food, art, design and fashion by age 32. Dimayuga’s 90s nostalgia, unique approach to artistic friendships, lessons in self-empowerment, and innovative genius make this podcast unmissable.